Just before the big holiday season got going, I took the boy — son, Gregory — to one of his favorite haunts: the Microsoft Store at the Domain in Austin. While we were there I picked up a year’s renewal for his Xbox Gold subscription, and at the same time bought myself a one-year extension to my Office 365 Home subscription. This morning, I finally got round to entering the subscription key for another year of use. I was in for a surprise: no sooner did I enter said key, than did the renewal process inform me it couldn’t find the key in its database. WTF? 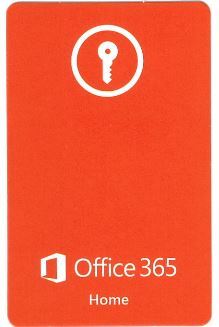 A life size scan of the credit card sized plastic key card prompts the thought: why can’t they put a scan code on this sucker? Of course, my first thought was I’d mis-typed one or more of the five 5-character groups that composes such a key. But a careful comparison of what I’d typed to what was printed there quickly disabused me of that notion. So I opened Google and searched on “Chat with Microsoft Support” and in under a minute I was chatting online with Pravin, my designated MS Support representative. As he asked me how I’d attempted to renew my subscription, it suddenly dawned on me that I’d tried it in Chrome (my browser of choice these days, for good or for ill). I thereupon asked him if I should try my renewal in IE or Edge instead. Sure enough, that was it: entered the same web page, the same renewal screen, the same key in IE and it all worked like a charm. It just goes to show you that for some tasks, Microsoft still expects you to use their tools and not somebody else’s. Whoda thunk it? Now that you can access the Microsoft Update Catalog and MSDN using Chrome, why should subscription sign-ups or renewals be any different? I have no idea why it’s so, but there it is. If you find yourself renewing an MS subscription in the near future, remember to use IE or Edge and you’ll be more likely to zip through the process faster that I did on my initial attempt with Chrome. And so it goes in Windows-land! This entry was posted in Letters from the Ed, Recent Activity, Tips, Tricks and Tweaks, Windows OS Musings and tagged Office 365, subscription renewal by Ed Tittel. Bookmark the permalink.